Here is your first look on Zachary Quinto a.k.a. 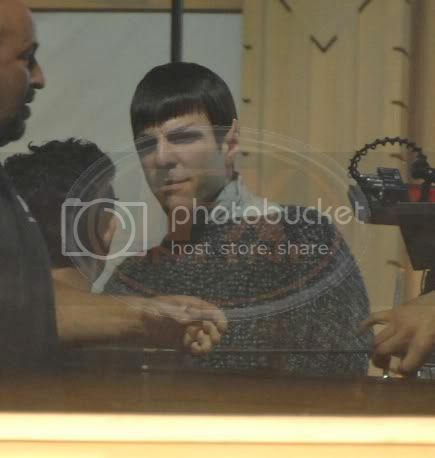 Sylar of hit tv series Heroes in his costume playing Spock of the upcoming Star Trek film. Thanks to JFX for the exclusive photo. Damn, he is really perfect for the role.